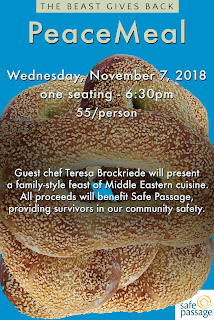 Guest chef Teresa Brockriede will present a family-style feast of Middle Eastern cuisine. All ticket proceeds will benefit Safe Passage. Safe Passage advocates for safety, healing, and justice for our entire community. They are here for everyone who has experienced domestic violence or relationship abuse. Tickets are $55 each. 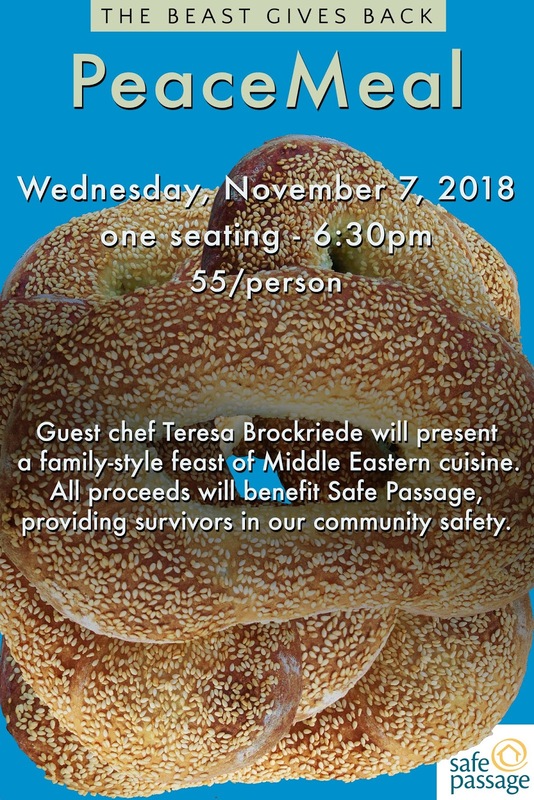 All ticket proceeds go directly to Safe Passage. Drinks and gratuity are not included in the ticket price. This will be a single-seating dinner. Space is extremely limited. Reserve your tickets by clicking through the RSVP button below.